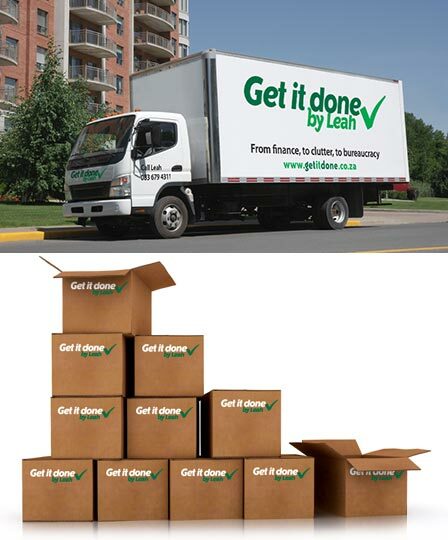 Get It Done by Leah offers unique services that take the stress out of life’s greatest challenges. Whether you’re moving home or office, dealing with the estate of a departed family member or friend, emigrating or facing excessive bureaucracy and admin. Leah will not just help you, she’ll do it for you. Leah Abramsohn personally facilitates and oversees any process in a sensitive, considerate and highly professional manner. And the best part: You always get the final say and you are in control every step of the way. Get It Done specializes in all of the above as well as de-cluttering, organizing personal affairs, and is particularly experienced in assisting the elderly in moving and dealing with other such difficult changes. Basically, almost any job you are dreading, any situation that has you overwhelmed, Leah will do it for you. So, get your life sorted and Get It Done today!